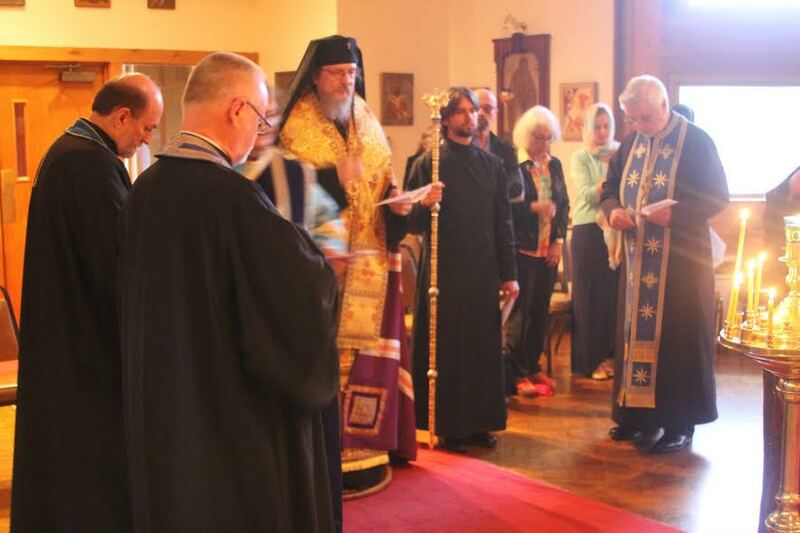 At a recent ecological event here, His Eminence, Archbishop Melchisedek of Pittsburgh and Western Pennsylvania, led an Akathist service and officiated at a tree-planting ceremony on the school’s campus. The event was set to coincide with the beginning of the ecclesial New Year, September 1—the day set aside in 1989 by His All-Holiness, the late Ecumenical Patriarch Demetrios, focusing on the protection of the environment. The text of the Akathist, titled “Glory to God for All Things,” was composed by the late Protopresbyter Gregory Petrov shortly before his death in a Soviet prison camp in 1940. The title is derived from the words spoken by fourth-century bishop, Saint John Chrysostom, as he was dying in exile. Concelebrating with Archbishop Melchisedek and Archpriest Dr. Chad Hatfield, Seminary Chancellor, were alumni Archpriests John Klingel, Dennis Rhodes, and David Vernak. 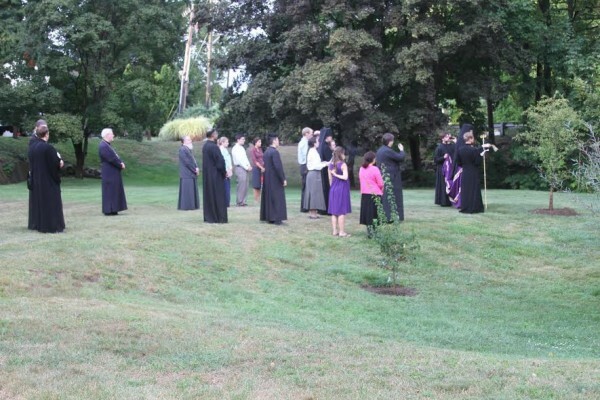 The Akathist and the planting of the sapling were followed by a lecture, “Cosmic Liturgy and the Problems of Human ‘Priesthood’,” by noted scholar Dr. Elizabeth Theokritoff. Photo galleries of the entire event, which was sponsored by the student-run Saint Herman Society for Orthodox Ecology, may be found on the seminary web site.